Macular degeneration slowly damages your retina and leads to central vision loss. 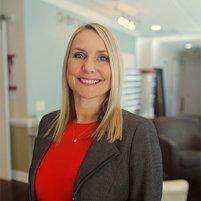 At Perceptions Eye Health and Wellness in Southport, North Carolina, Tara Parnell, OD, diagnoses and treats macular degeneration to help you protect and preserve your vision. Having routine comprehensive eye exams is the best way to monitor your eye health and diagnose diseases like macular degeneration early. Call Perceptions Eye Health and Wellness today or make an appointment online. Your macula is the part of your retina that allows you to see what’s right in front of you. The structures at the front of your eye focus light on your macula and your optic nerve picks up the messages to send to your brain. Macular degeneration is a condition where this part of your retina breaks down, and protein deposits called drusen develop and interfere with your central vision. Macular degeneration develops in two distinct types: wet and dry. Dry macular degeneration comprises 80% of diagnoses and is due to age-related thinning and protein deposits. Dry macular degeneration develops slowly. Wet macular degeneration is less common but more severe. Wet macular degeneration occurs when new, abnormal blood vessels grow in your eye and leak blood or other fluid, which scars your macula. Wet macular degeneration causes more rapid vision loss. Macular degeneration affects your central vision. You may notice that it’s harder for you to read, both close up and far away. Your vision may become cloudy, or colors might look yellowed or dull. However, in many cases, macular degeneration happens so slowly that you don’t notice the symptoms. Dr. Parnell looks for signs of macular degeneration during your comprehensive eye exam. Your risk of developing the disease increases as you age, which is why annual eye exams are recommended once you reach the age of 60. Dr. Parnell provides customized advice on how to protect your eye health if you begin to show signs of macular degeneration. Prevention is key so she advises nutritional and lifestyle changes to help preserve this delicate part of the eye and critical component of vision. Dr. Parnell treats wet macular degeneration with anti-VEGF medications to reduce the abnormal blood vessels in your eye. The medicine also slows any leaking from those blood vessels. Dr. Parnell delivers anti-VEGF drugs directly to your eye with an injection using a slender needle. In some cases, laser treatment may be another effective method to remove abnormal blood vessels from your eyes. If you have a family history of macular degeneration or if you’re due for a comprehensive eye exam, call Perceptions Eye Health and Wellness or make an appointment online today.